My Employer Did Not Carry Workers’ Compensation Insurance and I had an Accident, Can I sue him? Mr. Eric Reyes, On February 1, 2018, I fell off my forklift while making a delivery at a grocery store in North Fort Worth for my employer. The accident happened at a customers business. I was taking products off the truck with a forklift when I fell off of the ramp and broke my leg. My employer did not carry workers compensation insurance. Instead they had an accident plan that pays benefits similar to a workers compensation policy. My employer refuses to pay the claim because they believe I knew the risk of falling off the ramp. My employer tells me that this is a premises case. I believe the ramp was defective. Do I have a case ? Can I sue my employer? I believe you probably have a negligence case which is easier to prove than a premises case. This is why. A premises case involves injuries that occur on land of the party alleged to have committed negligence. An owner or occupier of land has a duty to keep the premises under his or her control in a safe condition. Redinger v. Living, Inc., 689 S.W.2d 415, 417 (Tex. 1985). This duty may subject the owner to liability for negligence under two situations: 1) those arising from a premises defect (or condition) ; and 2) those arising from an activity or instrumentality. Id. To recover under a premises defect theory, the plaintiff must have been injured by a condition on the property. Keetch v. Kroger, 845 S.W.2d 262, 264 (Tex. 1992). Recovery on a negligent activity theory requires that the person have been injured by or as a contemporaneous result of the activity itself rather than a condition created by the activity. Timberwalk Apartrments, Partners, Inc. v. Cain, 972, S.W.2d 749, 753 (Tex. 1998). If an injury was caused by a condition created by an activity rather than the activity itself, a plaintiff is limited to a premises liability theory of recovery. Crooks v. Moses, 138 S.W.3d 629, 639 (Tex. App.- Dallas 2004, no pet). The duty owed by the defendant to the plaintiff in a premises liability case depends upon the status of the plaintiff at the time the injury occurred, e.g., whether the plaintiff was a trespasser, licensee, or invitee. Id. This analysis does not apply to you case. Your fault not occur on your employer’s property. Employers like yours who choose not to participate in the workers’ compensation system are often referred to as “nonsubscribers” because they do not subscribe to the Texas Workers’ Compensation System. Nonsubscribers lose several key legal defenses and can be responsible for damage awards if an injured employee can prove that the employer was negligent. 3.) 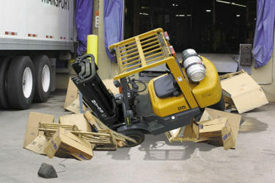 The injury or death was caused by the negligence of a fellow employee. In enacting TEX. LAB. CODE section 406.033 the Legislature intended to delineate explicitly the structure of an employee’s personal-injury action against his or her non-subscribing employer. TEX. LAB. CODE Section 406.033(a) prescribes the defenses that are unavailable to a nonsubscriber; TEX. LAB. CODE section 406.033(c) dictates the defenses upon which an employer may rely; and TEX. LAB. CODE section 406.033(d) provides the employee’s burden of proof, stating that “the plaintiff must prove negligence of the employer or of an agent or servant of the employer acting within the general scope of the agent’s or servant’s employment.” TEX. LAB. CODE § 406.033, see also Keng, 23 S.W.3d at 350. TEX. LAB. CODE Section 406.033 discourages employers from opting out of workers’ compensation insurance by prohibiting a nonsubscriber from asserting that its employee was contributorily negligent, assumed the risk, or that a fellow employee’s negligence caused the employee’s injuries. Id . The penalty is significant. The unavailability of the contributory negligence defense means that an employer whose fault, however slight , was a proximate cause of the injuries will owe full damages, notwithstanding any perception that the injured employee was also at fault in a way that was a proximate cause of the injuries. Theoretically the employer will owe full damages even when the facts suggest that the employer’s fault was as little as 1% of the total causative fault and that the injured employee’s fault was as much as 99% of the total causative fault . See Robertson, The Texas Employer’s Liability in Tort for Injuries to an employee Occurring in the Course of the Employment, 24 ST. MARY’S L.J. 1195, 1199-1201 (1993); also see Keng 23 S.W.3d at 350 (wherein the Texas Supreme Court approvingly cites the St. Mary’s Law Journal article). It is a primary, continuing and non-delegable duty of the employer to provide a safe place to work and safe conditions in which employees may work. Forrest v. Vital Earth Resources, 120 S.W.3d 480 Tex.App.–Texarkana 2003). The employer has a duty to furnish the employee with safe and suitable appliances so that he or she may carry on the work with reasonable safety. Id . Employers have a duty to use ordinary care in selecting careful and competent co-employees. Otis Elevator Co. v. Joseph, 749 S.W.2d 920, 926 (Tex. App.–Houston [1stDist.] 1988, no writ). [I]t is incumbent on the employer to exercise ordinary care to prevent injury. Forrest, 120 S.W.3d at 480. To establish negligence, a party must establish a duty, a breach of that duty, and damages proximately caused by the breach. An employer has a duty to use ordinary care in providing a safe workplace. An employer must, for example, warn an employee of the hazards of employment and provide needed safety equipment or assistance. Elwood, 197S.W.3d at 794; Farley, 529 S.W.2d at 754 . An employer must furnish safe machinery and instrumentalities that its employees are to work with and must provide adequate assistance under the circumstances for the performance of required work. See Humble Sand & Gravel, Inc. v.Gomez, 146 S.W.3d 170, 186 n.45 (Tex. 2004); Werner v.Colwell, 909 S.W.2d 866, 869 (Tex. 1995); Farley, 529S.W.2d at 754. An employer must also instruct employees in the safe use and handling of products and equipment used in and around an employer’s premises or facilities, and must adequately hire, train, and supervise employees. Patino v. Complete Tire, Inc., 158 S.W.3d 655, 660 (Tex.App.–Dallas 2005, pet. denied): Castillo v. Gared, Inc., 1S.W.3d 781, 786 (Tex. App.–Houston [1st Dist.] 1999, pet. denied). The Texas Supreme Court has held, however, that an employer is not an insurer of its employees’ safety. Elwood, 197 S.W.3d at 794. An employer owes no duty to warn of hazards that are obvious, commonly known, or already appreciated by the employee and owes no duty to provide equipment or assistance that is unnecessary to the job’s safe performance. Id. at 794- 95. Considering that the purpose of the Workers’ compensation Act is to protect injured workers and also considering that the intent of TEX. LAB. CODE § 406.033 is to encourage employers to subscribe to the workers’ compensation system, it is clear that employers who opt out of the system should not be favored by courts. The onus is upon employers in choosing whether or not to subscribe; thus, employers should be the party bearing the burden of such calculation rather than employees. See Fighting the Good Fight , Seminar Paper , 32nd Advanced Personal Injury Law Course, September 4, 2016. Applying the elements of negligence to your case case, I believe you can show you can raise “more than a scintilla of evidence” that employer breached their duty to provide a safe workplace, training, and a safe appliance (ramps in good condition) that is a proximate cause of your damages. My office represents Texas employees who are injured as result of the employer’s negligence when the employer does not carry workers compensation insurance for their workers. You should collect compensation for your damages including medical bills, lost wages , mental anguish, pain and suffering and physical impairment. Please call me to discuss this further. Eric Reyes Law Firm, 312 Harwood Rd, Bedford, TX 76021.